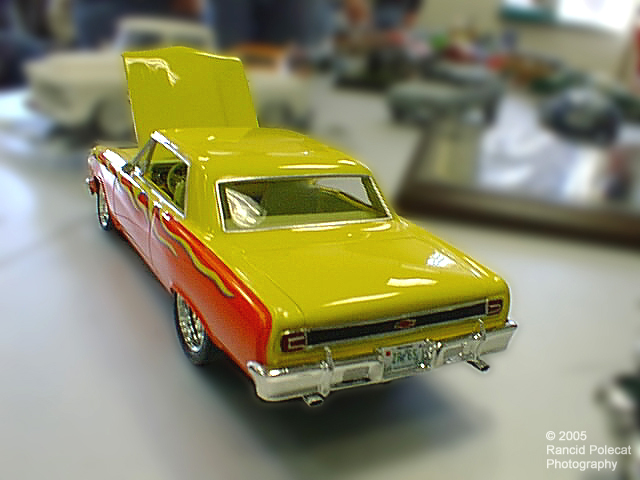 Lyle scratch-built the rear panel trim shown above to turn a Revell-Monogram 1965 Z-16 Chevelle into a Malibu. Along with sanding off the emblems and trim, he added a cowl induction hood from a Revell 1969 Camaro kit. The interior is trimmed with components from a Model Car Garage photetch detail set. The tail pipes are made of aluminum tubing.